It’s good to be back! At the end of last month, I found myself needing to take a break for a little self-care. I had just completed giving 27 presentations to three separate audiences within nine days. I appreciate the patience of each of you. I’ve missed you! Let’s dive in this week. I want to begin by asking you to experiment with me. Let’s, for the sake of experimentation, just for a bit, NOT spiritualize everything Jesus said about money and economics. Not spiritualizing Jesus’ teachings on money enable us to gain deep insights into Jesus’ new alternate society that we are simply prevented from seeing when we spiritualize it all. I also want to define the word denounce. To denounce means to “publicly declare to be wrong or evil” (New Oxford American Dictionary); its synonyms include condemn, criticize, attack, censure, decry, revile, vilify, discredit, damn, reject, proscribe, malign, rail against, lay into, formally castigate, expose, betray, inform on, incriminate, implicate, cite, name, and accuse (Oxford American Writer’s Thesaurus). A denouncement can also be a public accusation or reporting (Wikipedia). In Matthew 11:20, this version of the Jesus story tells us that “Jesus began to denounce the towns in which most of his miracles had been performed.” What did this look like? What form did Jesus’ denouncements take? They come to us in the same form as the denouncements of the Old Testament prophets. They come in the pronouncement of a “woe.” In the very next verse (Matthew 11:21) we find “Woe to you, Chorazin! Woe to you, Bethsaida!” Eerdmans Dictionary states that “In the New Testament ‘Woe’ functions as prophetic denunciation.” Jesus is standing in his prophetic lineage in his use of language here. Let’s back up and look at the big picture. Jesus had just pronounced a blessing (the opposite of a denouncement) on the opposite group. 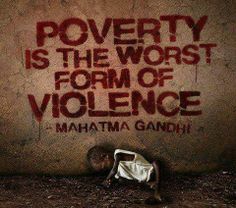 Remember, Jesus is not saying that there is something “righteous” about being poor. He is saying that for those whom the present social order has left poor, hungry and morning, the changes Jesus had come to make were especially favorable. The alternate human society Jesus was inviting all to join would be a blessing for those who were poor under the present system and, at a bare minimum, be problematic for those benefiting from the present system. But we will talk about that in a moment. Let’s look at the two groups first. Jesus is doing two things. First, yes, he is proclaiming that the new social order he is teaching is good news for those who are presently in the position of being “last” and at least problematic for those who were presently “first,” benefitting from the present system. Second, he is indicting the rich. There is no way around it. To understand the logic of this, this planet and its resources are not infinite. 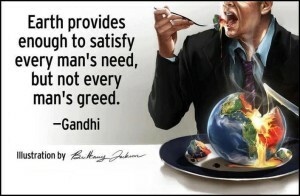 It provides enough for every person’s needs, Gandhi once said, but not every person’s greed. 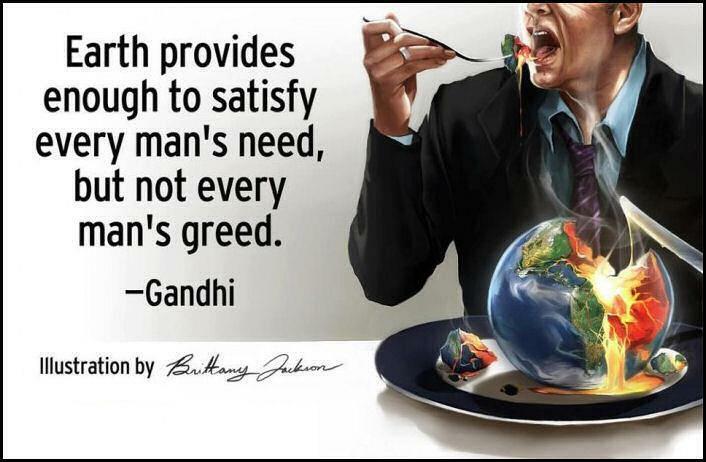 I understand the “opulence” for everyone argument, but the resources of this earth simply do not work that way. If someone is hoarding more than he or she needs, someone else is going without what he or she needs. (Think of the truth of the Hebrew manna story; everyone had what he or she needed because those who “gathered much” shared with those who “gathered little.”) To say that Jesus was putting forth an alternate society seeking the equal distribution of earth’s resources so that each person could have what he or she needed was good news to the poor. What does this mean? 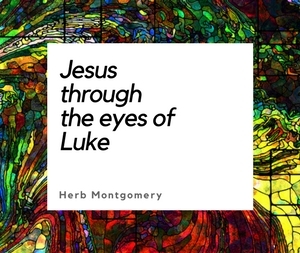 At minimum, it means that if our Jesus is not first and foremost systemic good news for the poor, we have to at least wonder if our Jesus is the same Jesus as the one in the story. Jesus’ new economic teachings also have something to say about debts that had been incurred under the present system. All debts are to be cancelled! This, too, is good news to the debtors and problematic for creditors. But remember, Jesus’ goal is equality, not just in opportunity, but in result. What Jesus is announcing is the never-practiced Hebrew tradition of “Jubilee,” during which all debts were to be forgiven. This was hard news for those economically benefiting from the present system. The idea that there was a gate called a “needle” that camels had to get down on their knees to enter and was difficult to enter but not impossible has long been debunked by scholars. That’s a made-up story. What Jesus is saying is that it’s impossible for the rich to enter Jesus’ new alternative society here on earth because fundamental to this new society’s core is a sharing of one’s superfluous riches with those who have less. At its core, Jesus’ new alternate society is a divestment of and a redistribution of the riches of the dominant class with the aim of equality. This is exactly why the very first expression of following Jesus in the book of Acts was manifested in Jesus-followers’ selling their properties and giving to anyone who was in need. What can’t be missed is that Jesus is saying if the present system has caused you to not be at ease and not be surrounded by riches but to be “weary,” “heavy laden,” and in need of “rest,” you will find entering Jesus’ alternate society “easy.” It is a blessing! But if you are one presently benefiting from the current system, Jesus unmistakably states that you’re going to have a harder time embracing Jesus’ teaching on economics. Entering into this alternate society centered in the teachings of Jesus is impossible on your own and only possible with God (see Matthew 19:26). Again, why is it so “hard?” It is hard because Jesus is not selling the American definition of “equality.” Jesus is not simply offering equality as a matter of “opportunity.” Jesus is calling for a system which creates equality in results as well. This, again, was good news to the last. It was at least problematic for those who were first. 1. The good of the individual is contained in the good of all. 2. A lawyer’s work has the same value as the barber’s, inasmuch as all have the same right to earn their livelihoods from their work. 3. The life of labor, e.g., the life of the tiller of the soil and the handicraftsman, is the life worth living. Gandhi embarked, from Ruskin’s book (the title of which was taken from our featured text this week: “I desire to give unto the last the same as I give to the first”), on an experiment called the Phoenix Project, in which everyone was paid the same amount regardless of the job they did. The sense of community and mission this produced is breathtaking if one takes the time to read about it. Everyone worked for the mission; they looked at each other as equals. We all know how Hasbro’s Monopoly game ends. Gehenna, in the Old Testament prophet’s sense, may be unavoidable. Jesus is offering a way to life—an alternate, beautiful community. Narrative 1 involves believing that there is not enough for everyone’s needs and allowing the anxiety that belief produces to drive you to a life of accumulating stockpiles that you must protect with violence. The other narrative involves believing that there actually is enough for everyone’s needs to be met if we share and cooperate. We can subscribe to a narrative of confidence rather than anxiety, of generosity rather than hoarding. And rather than producing stockpiles one needs to protect with violence, a shared mutuality that produces peace arises. The least we can do is begin to be honest about our narratives. I’ll close this week with the words of Leo Tolstoy. “I do not say that if you are a landowner you are bound to give up your lands immediately to the poor; if a capitalist or manufacturer, your money to your workpeople; or that if you are Tzar, minister, official, judge, or general, you are bound to renounce immediately the advantages of your position; or if a soldier, on whom all the system of violence is based, to refuse immediately to obey in spite of all the dangers of insubordination. If you do so, you will be doing the best thing possible. But it may happen, and it is most likely, that you will not have the strength to do so. You have relations, a family, subordinates and superiors; you are under an influence so powerful that you cannot shake it off; but you can always recognize the truth and refuse to tell a lie about it. You need not declare that you are remaining a landowner, manufacturer, merchant, artist, or writer because it is useful to mankind; that you are governor, prosecutor, or Tzar, not because it is agreeable to you, because you are used to it, but for the public good; that you continue to be a soldier, not from fear of punishment, but because you consider the army necessary to society. You can always avoid lying in this way to yourself and to others, and you ought to do so; because the one aim of your life ought to be to purify yourself from falsehood and to confess the truth. And you need only do that and your situation will change directly of itself. This week for our HeartGroup Application, I want to recommend to you the book The Kingdom of God Is Within You by Leo Tolstoy. You can download a copy free of charge at amazon.com. 1. Dedicate some time each day to reading and contemplating what you are reading. 2. Journal your thoughts, feelings, questions, and insights. Together we can make a difference. Together we can learn to recognize and participate in Jesus’ alternate society, the beloved and beautiful community, centered around a shared table. It is a beautiful community. Keep living in love until the only world that remains is a world where Love reigns.